COPrevent: Truth Campaign Aims to End Youth Smoking in U.S. Truth Campaign Aims to End Youth Smoking in U.S.
Did you know the U.S. teen smoking rate was 23% back in the year 2000? That was before Legacy launched the truth® national youth smoking prevention campaign, which has helped to bring the current rate down to below 10%. Fantastic progress! Legacy launched a bold new chapter in the truth® campaign designed to reach and empower young people ages 15-21. 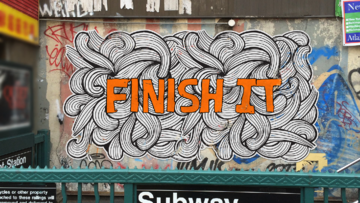 The goal is to “FINISH IT”, to end youth smoking in the United States once and for all. We’re talkin’ about a revolution, a viral movement, that rallies teens and empowers them to get involved. A collective human voice to counteract the nine billion dollar annual voice of the tobacco industry.